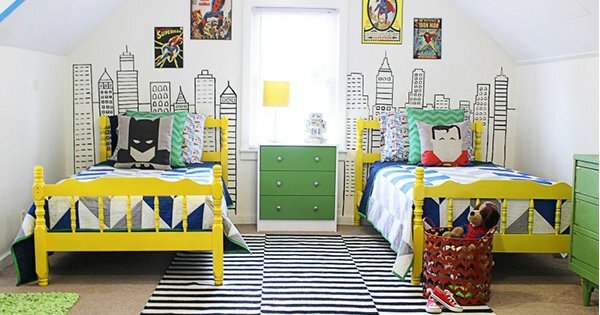 A shared children's bedroom makeover fit for superheroes! A shared children’s bedroom makeover fit for superheroes! Decorating a room for one child can be daunting enough, but we take our hats off to anyone who dares to take on decorating a shared room. Click on through to see how one mum made her sons’ superhero dreams come true with one magnificent bedroom makeover! The very clever Mallory of Classy Clutter blog has set the decorating bar high with her super impressive Modern Superhero Bedroom Makeover. 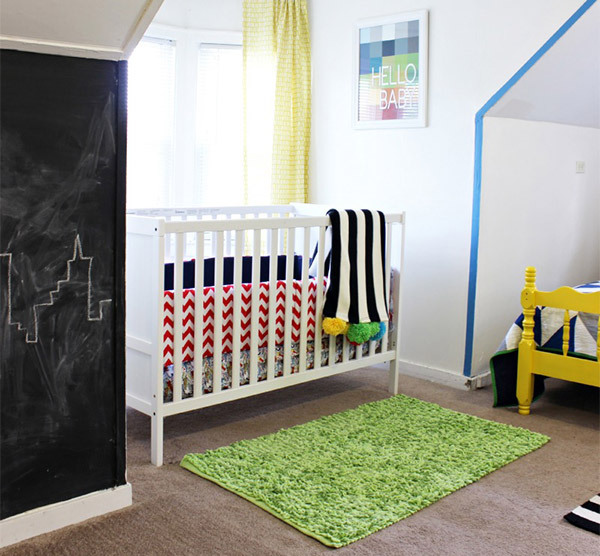 Her boys requested a superhero bedroom with a chalkboard and boy, did this supermum deliver! Mallory filled her boys bedroom with an amazing array of geometric prints, awesome bold colour, superhero accessories (hello to the most spectacular cushions I ever did see!) and a generous sized chalkboard to bring together a gorgeous space perfect for play and of course, to rest their superhero heads. Hop on over to Classy Clutter to see more of Mallory’s Modern Superhero Bedroom Makeover images and find all the nitty gritty details if you’d like to create a similar bedroom for your own children (and frankly who wouldn’t! ).